As I was just telling my good makeup pal Gracie, every time I step into Sephora I’m like a kid in a candy store. There’s just so much stuff to want! Lipsticks, foundations, moisturizers, masks–I’m playing in all of it. All of it. 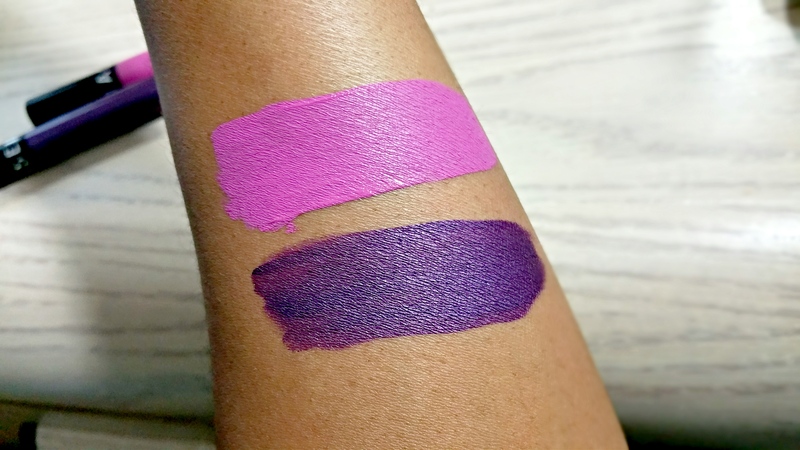 After seeing a few snaps of the Sephora Cream Lip Stains on Instagram, curiosity got the best of me and led me to play with them while shopping the Love Note sale. 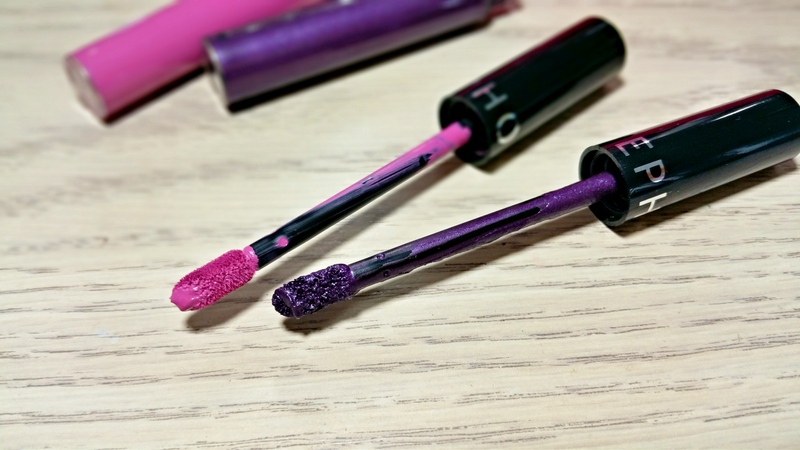 A lip stain that provides beautiful, long-lasting color. This high coverage lip product is formulated with avocado oil for a texture that transforms as you wear it: when applied, the initial cream texture becomes a silky, lightweight stain. Lips achieve stunning color and feel soft and comfortable. Sephora markets them as a lip stain but they definitely feel more like liquid-to-matte lipsticks to me. Both shades dried down rather quickly to a soft matte finish. I’ve only worn Polished Purple once but, so far, I like it! 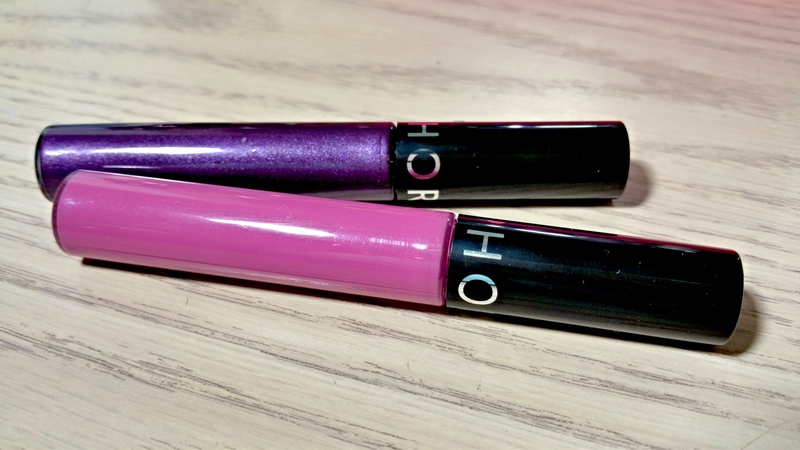 The formula is on par with higher end liquid lipsticks I’ve tried and they’re pretty cheap at just $13. I can’t wait to play with them some more so I can give you a full review! 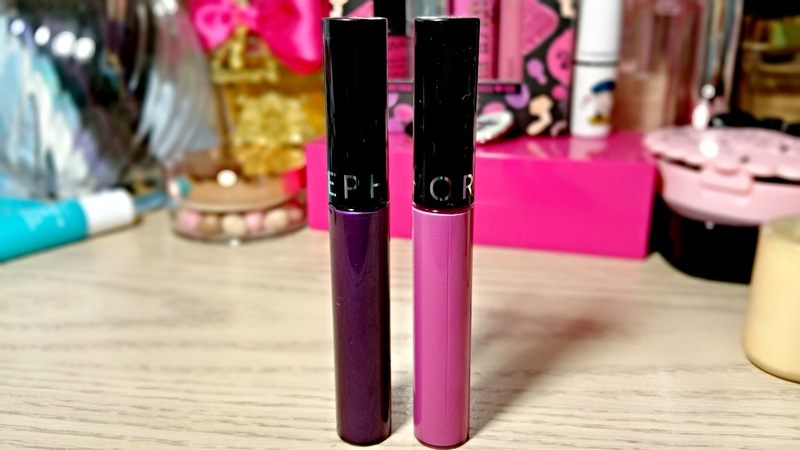 Have you tried the Sephora Cream Lip Stains before? What do you think? ← New Marc Jacobs Beauty Enamored Hi-Shine Lip Lacquer Now Available! Thank you! I wish you did too! Seeing these online was tempting but being able to play with them in person really sealed the deal for me. Mandarin Muse was another shade I had on my list lol. I may pick it up the next time I go! These are beautiful!!!! I have to check these out! I didn’t even know that Sephoria had lip stains. Just hanging on to that order for my birthday!!! Thanks doll! Me either! See what I mean about Instagram being a dangerous place sometimes? Lol I can’t wait for you to place your order. I’m ready to hear about all your new makeup already! I found you and Dior, Sephoria, Gucci, and I can’t remember ! I haven’t been on much. I don’t really have a lot to share right now! It’s neat though. I could see how a person could spend hours looking! It’s neat! Sad to say but all that I’ve felt like doing this week is sleeping — I won’t let myself do it much but between the sleep deprivation and the depression, it’s hard. Pain pushes me even harder… but I won’t let that win either! I am feeling better everyday. Praise God for my work Fancie!! Last night was steady and busy and I did okay! I’m getting it! I had a situation and handled it, and just kept going!!! God is so good! All the time!! Times get hard sometimes but I had no doubt he’d pull you through. Gotta keep that faith! And get some rest too! Yes girl. I’m so glad that you had your friend here this past week – what I’d give for a week with a friend! I hope you had loads of fun! I miss the clubbing days, but I’m too old for that now. I used to be quite the dancer – but my legs won’t let me do it now. Ah, those were the days!!! I hear you! I know I couldn’t do it! Especially not drinking! I’d be in the ER!!! So glad that you guys had some special time together, that really helps lighten life up. I know when my friend from out of town comes, it just makes everything feel better! We talk on the phone daily – but seeing her is so much different! We’ve been friends for over 40 years! She knows how I’m doing by the sound of my voice. I cherish her! I thank God for her… she’s my rock. She’s always there to cheer and support me. I just hope that I do half what she does for me! I feel YOU!!! My friend’s name is Crystal and she’s my angel. We’ve been together thru thick and thin. She’s always been there. I wish you the very same blessings girl. Is your friend far away now? I hope not, Crystal is only about 30 minutes from me, but it’s still hard to get together — she has a family and all. We have some of our best times at her pool. We laugh and giggle like kids. She doesn’t get into makeup like I do though.. that’s a bummer but I can handle that. She did get a make over at Lancome one day! it was fun. I’m like you I don’t know what I’d do without her. Her sister and I are close too, I just don’t get to talk to her much anymore with her family and all too. Being single sometimes bites like that. How long have you been single Fancie, or are you? I’ve been single now for over a year. My last relationship was with a woman. I have no shame in my life. I”m pretty sure it will be my last with one — she was so crazy. I want to get married. At 50+ that”s some kind of wishful thinking!!! But I’m getting back down to my right size and who knows? Maybe God will send me someone? Hope I don’t offend you – I’m just real honest Fancie. I’ve always been real open about my sexuality. Even my pastor knew. If people can’t accept me then, well I move on. I just happen to be the kind of person that falls in love with humans. If that makes sense. You’re so blessed your friend isn’t too far away. You guys should try to connect more! My friend, Tiara, moved to Virginia a few years ago and she’s 9 hours away now. I get so excited when she’s home and sad when she leaves. She’s one of the few people who really get me so we just click and have fun together. It’s so nice to have someone like that. I do wish she was into makeup though. I’m been easing her into it but I can’t wait until she’s a makeup junkie lol. I’m single as well. I’ve been single for about 3 years now. I date off and on but it just doesn’t seem to be my time yet. And you didn’t offend me at all! I’m not a stickler for rules and I prefer to let others live freely. I can imagine your mate being crazy though. I had a close friend who dates girls and she was a handful to deal with just as a friend lol. Women can be intense! I actually have a couple of those and I don’t think I’ve ever tried them on lol. I need to find them! Just wait until you try one lol. I can’t stop wearing them!